3-4 Months back my baby got allergic reaction turned out her skin dries out quickly and needs to be moisturised very often..After this I became more cautious about the products I use for my Baby’s sensitive skin..And this led me to begin the search of the best baby products..
A while ago I discovered about Softsens Baby Products, which is a premium care Baby brand.. their products are inspired by Moms and developed by the experts and when a Mom gets on work to design something for the babies, nothing can go wrong about it..
All of their products are Hypoallergenic and tested abroad, matching all the International Standards of Safety.. Their products are free of Paraben and other harmful chemicals.. All of their products are made using natural ingredients and Botanical oils.. This Dermatologically tested Baby Wash is made for delicate and sensitive skin..It is made up of Natural Milk Cream and Shea Butter.. While the Milk cream fights the dryness and clears the skin, Shea butter deeply nourishes the skin.. The Combination of these two makes the Skin Soft and clear..
Baby Powder is made to absorb the excess moisture from Baby’s Skin so as to keep them Cool and Dry..It has a Mild and Fresh Scent and is designed to prevent friction in the skin folds and excess sweating ..
As the Baby is allergic to dryness, i am only suppose to apply powder under her arms, back of the neck and thighs.. This powder worked well for me and gave a sweet scent to her body also didnt make her skin very dry and kept the folds on her skin rash free.. This baby lotion is again enriched with Natural Milk Cream and Shea butter, which helps in moisturising the skin and giving it a deep nourishment.. Also it has a very mild and soothing fragrance and can be applied on the whole body.. Body lotion is my biggest area of concern due to my Baby’s dry skin and I can’t settle for something mediocre for her skin.. The milk cream and shea butter in this lotion helped me in deeply nourishing my baby’s skin and solved one of my biggest concern about her dry Skin.. Also i loved the scent it leaves on my baby’s skin .. Spreads well and does not make the skin sticky and greasy, as i need to apply is again and again i can’t use something that is sticky or greasy..
Its massage Oil is enriched with Olive oil and Vitamin E.. While Olive oil helps in smoothening of the skin, Vitamin E helps in providing the elasticity and strength to the skin..It is Colorless and has got a very mild odour.. It is made to apply on the complete body.. It suited well on the Baby’s skin, but required larger quantity for spreading throughout the body.. it has fine slippery feel making it easy to massage on her skin and its mild odour made it better than other oils with high odour.. They are enriched with moisturising lotion, aloe vera and Vitamin E.. While moisturising lotion gives smooth texture to skin after cleaning, aloe vera has high healing properties.. The wipes are thick, soft and also free of Paraben and Alcohol.. I used baby wipes for multiple purpose like cleaning baby’s face, cleaning the diaper area and also cleaned her dirty hands and legs after all the crawling and due to her dry skin, Doc suggested to use wipes with high moisturiser content to suit her skin type and Softsens worked well for us and solved all my purposes..Also the packet is handy for travelling and does not ends up drying instantly..
As the products made by Softsens are hypoallergenic and clinically tested, it suited well on my Baby’s Dry skin and provided me with wide range of products with colourful packaging and sealed properly without leakage issues, making them look all attractive in my Baby Products Kit.. I found the price of all its products economical and pocket friendly.. Also the quantities provided are quite sufficient for long term use making it budget friendly by being Economical and Efficient for the consumers.. I easily ordered it through their site www.softsensbaby.com and the delivery was quite quick and they gave me all the required assistance through their Instagram page and solved all my queries.. I am glad to finally find the Brand which moisturized my daughter’s dry skin without causing any allergic reaction.. I would give it a thumbs up and 4/5 for all of its products..
Awsome baby products i have ever used. I was using Himalaya Baby Products earlier as i got the full baby kit from hospital as a gift. 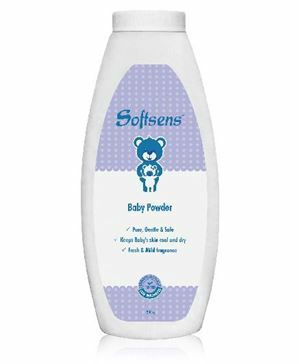 But wen i saw Softsens page on facebook and got d products. I experienced a great change while using Softsens. 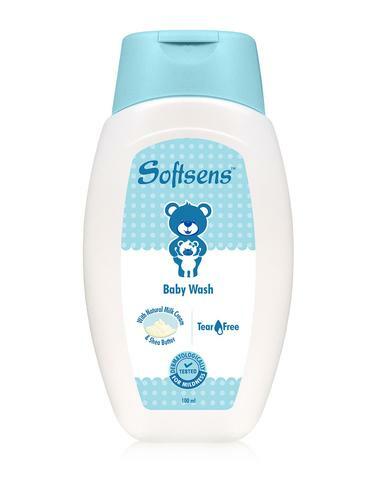 Softsens baby Wash Specially awsm. So mild and gentle. Tear free and so smooth and soft.